A Nigerian with an odd combination of folk-remedy expertise and a doctorate in Western pharmacology has connected the golf-ball-size nut to Ebola, the mostly fatal infectious disease that scares doctors worldwide. "From the same African forest where we identified Ebola, we can have a cure," Maurice Iwu, executive director of the Bioresources Development and Conservation Programme, and a consultant at Walter Reed Army Hospital in suburban Washington, said at the 16th International Botanical Congress in St. Louis. Ebola struck about 1,000 people between 1976 and 1995 in Africa. One of the top infectious-disease labs in the United States tested the fruit, and said that it passed the crucial and difficult first hurdle. "It certainly is a promising compound," said John Huggins, a virus expert who heads the effort at the U.S. Army Medical Research Institute of Infectious Diseases in Fort Detrick, Md., to find antiviral drugs to fight exotic diseases. "So far, it's made it through all the gates that it has been sent through." But there are many more tests to be done, first on mice in the next few months, and eventually primates, before it would be used on people, Huggins said. Only one of 20 prospective drugs that pass the test-tube test makes it onto the market, so the odds are against the fruit, Huggins said. "I would be - and am - very skeptical," Lawrence Gelb, a professor of microbiology at Washington University in St. Louis, said. "But you can't be an outright cynic; eventually some [prospective drug] works." The reason bitter kola may have an edge over other types of drugs that work in lab tests is that many drugs often prove toxic to people and animals in subsequent testing, whereas bitter kola has been used for centuries, and has gotten federal approval as a safe dietary supplement, said Jim Miller, head of applied research at Missouri Botanical Garden, who has tried to develop plants as medicine in the past. A handful of other drugs have made it this far in fighting Ebola, but they are not from natural plants and may eventually flunk the toxic test, Huggins said. "Even in megadoses, [bitter kola] doesn't possess any toxins," Iwu said. He said that West Africans use the fruit as "a welcoming gift" despite its bitter taste, because it seems to work for a variety of health problems. Iwu does not like hearing it called a miracle drug. "This is not a miracle drug," he said. "This is a drug that we are using that we found a new application for." 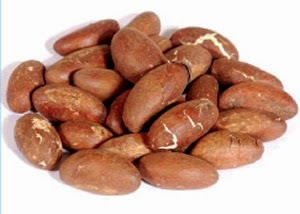 What Iwu and Huggins think makes bitter kola - which can be bought in West African markets - work is a form of the chemical compound flavonoids, which are thought to have anti-infective properties. Bitter kola has biflavonoids, which are two flavonoids fused together. "Aspirin started out as a folk remedy; quinine started out as a folk remedy," Huggins said. "Those were folk remedies because they actually work."